When property interests are given away during life or at death, taxes are imposed on their transfer, as per Cyprus’s tax law. Such taxes are known as estate and gift taxes. Gift tax is a transfer tax applied to an individual who gives anything of value to another person. For something to be considered a gift, the transfer must be gratuitous (without compensation) or the receiving party must pay an amount less than the item’s full value. The person who gives a gift is required to pay gift tax. The general purpose of gift tax, as defined by Cyprus tax law and practice, is to prevent the use of gifts as a means of avoiding estate taxes (inheritance taxes) that are due on the death of a wealthy individual by giving away most of their money before they die. Gift tax exists in order to prevent people from having an easy way to avoid or bypass estate tax. If people could make unlimited gifts to their heirs, few taxpayers would ever be subject to estate tax. An individual’s estate is the total value of their assets less any debts at the time of their death. In general, if an individual dies with a large estate and its value is above the relevant threshold limit the estate is subject to inheritance tax. Most countries have inheritance tax and the tax rate in this regard can be quite high. However, Cyprus has no inheritance tax. 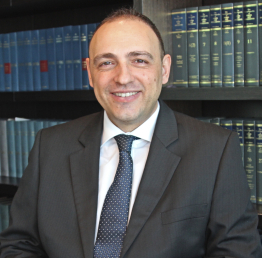 Therefore, tax planning is needed for foreign persons to be entitled to the benefits of Cyprus’s lack of inheritance tax; they must prove that they are domiciled in Cyprus. The word ‘domicile’ in this context means more than a permanent resident – it refers to an individual who not only lives in Cyprus but can prove to the tax authorities in their country of origin that they intend to spend the rest of their life in Cyprus. It can be difficult for wealthy individuals to persuade the tax authorities in their country of origin that they are domiciled in Cyprus and a tax expert’s advice should be obtained. Person A, resident of Cyprus, leaves an estate worth €500,000 to his nephews and nieces – there is no inheritance tax. Person B, resident in the United Kingdom, leaves an estate worth £500,000 to his nephews and nieces – the inheritance tax will amount to £70,000. The above example is simplified since, in the United Kingdom, other factors may be taken into consideration during the transfer of an estate. The same applies to gift tax. In Cyprus there is no gift tax to pay compared with the United Kingdom and many other factors may apply that make the reference to an example even more complicated. The beauty of Cyprus’s estate and gift tax lies in its simplicity compared with many other countries, both inside and outside the European Union. individuals and families that want to acquire permanent residency in Cyprus and/or tax residency may be eligible for tax returns, tax reductions or other benefits. While death and taxes are unavoidable as Benjamin Franklin once said, estate planning is a sensitive issue that should not be put off. Considering how much inheritance tax a family may have to pay should be at the top of their to-do list. The simplicity of Cyprus’s tax system, especially with regard to estate and gift tax, is one of the major attraction points for the many high-net-worth individuals and companies that choose Cyprus as their place of business or residence. For more information about estate, gift or inheritance tax matters please visit our Tax Law & Tax Planning pages or contact us.